In what ways does your platform enable a reliable, dependable revenue stream throughout its useable life? Michael Primeaux: Building on three generations of advanced automated fare collection (AFC) and payments solutions, the Vix solution provides an advanced platform supporting account-based ticketing, card-based ticketing, open payments and closed loop features in a single, highly configurable product. Sophisticated financial management tools, including transit clearing house capabilities, are also core capabilities, all of which can be deployed “on premise” within customer data centers or “as a Service” in a public cloud. Our solution enables a reliable, dependable revenue stream throughout its usable life because, for Vix, the most important aspect of public transportation is a better journey for our customers. Our relentless focus on building a flexible, scalable, and reliable AFC and payments platform is fundamental to delivering this vision for our customers and for ensuring dependable revenue streams for agencies. Darren Dickson: In order to account for all of the revenue your transit agency collects, you have to have the right tools, and that’s just what Genfare provides. But tools are only as effective as the people using them. Our fare collection systems are complex, and they require an effective process, regular maintenance, comprehensive training, and a strong commitment in order to get the most out of the robust tools your agency has acquired. Not only does Genfare build innovative, accurate systems, we’re also committed to helping transit agencies utilize every advantage our systems provide. Genfare is your partner in accurate, secure, efficient revenue collection and reconciliation, and we do that through several avenues, including mitigating revenue loss. What best practices can agencies use to decrease fare system deployment times, to maximize benefits and minimize revenue disruption? Dickson: Regarding decreasing fare system deployment times, we have a solid project management methodology. Our methodology is derived from years of experience defining and implementing fare collection systems for the transit industry, as well as the professional training and certification received from the Project Management Institute (PMI). From a high level, the project management methodology we use consists of five main phases—initiating, planning, executing, monitoring and controlling and lastly, closing. More than anything, the process is consistent and repeatable, and we’re continuously improving it. Primeaux: At Vix, there are many lenses through which we measure how we deliver value to our customers: we recognize the need to reduce build, deployment, operating, and maintenance costs along one dimension whilst ensuring a repeatable and secure quality level commensurate with that of a world-class commercial solution along another dimension. Full automation for forming, deploying, and upgrading all operational environments and the Vix solution is critically important in reducing overall costs, reducing the risk of human error, increasing operational efficiency, ensuring consistent quality and enabling measurable compliance with security practices and governance. To this end, the Vix solution focuses on the best practice of DevOps automation as a core engineering practice across three phases to align with design, build, operations, and maintenance in support of continuous improvement. Our investment in this area has resulted in vastly reduced build and deployment times. Our relentless focus in this area allows us to minimize costs for systems operations, security operations and disaster recovery scenarios while greatly reducing the timelines for our solution engagement schedules, resulting in a direct savings for our customers without the need to compromise their revenue protection and business continuity objectives. How does a flexible, open architecture lend itself to increased revenue over time? Primeaux: An open architecture lends itself to increased revenue over time because the inherent standards-based design patterns and technologies fosters a wide array of integration scenarios within the surrounding transit and payments ecosystem. The APIs that come with an open architecture allow for a range of integrations to be supported as part of a fare collection system, allowing agencies to, for example, partner with coffee shops or other retail outlets to offer deals for transit riders. This provides another revenue stream for the transit agencies, as well as the partner retailers, etc. However, simply supporting an open architecture isn’t enough. Software and hardware engineering teams must possess the discipline and rigor required to produce a quality, scalable, and flexible architectural patterns to support not only revenue streams that we can think of but, equally as important, with forward looking attention to market trends. Dickson: Starting with an open architecture platform provides unlimited possibilities to be able to change and adapt your fare collection as needed. This lends itself to increased ridership when the agency has the ability to plug and play anything they need to continue to expand their ridership. 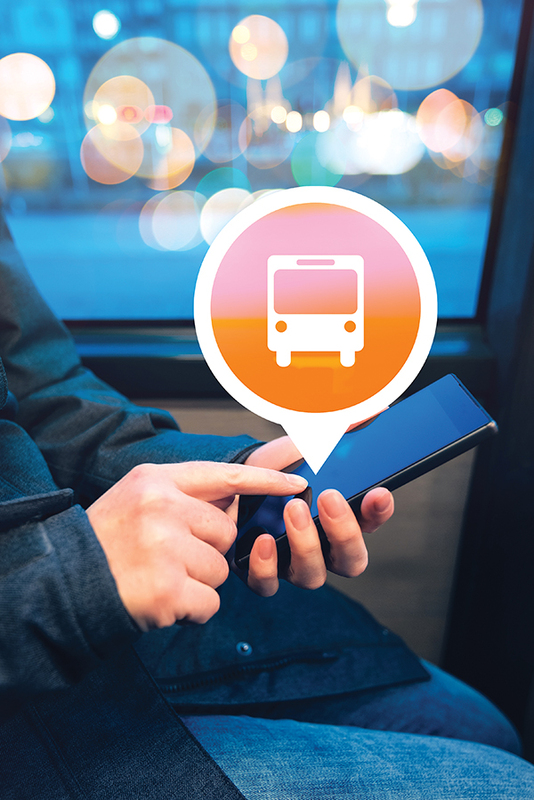 Whether that be through mobile ticketing, connected services or collaborating with organizations and retail outlets to expand the agencies’ reach to their ridership and to engage new audiences. How can agencies utilize improved data collection and analysis to leverage new revenue streams? Dickson: The first step is being able to capture the data points from the agencies’ connected devices and systems. The agency needs a robust enough system to be able to capture and access all of the bits and bytes in order to leverage this in to an effective reporting platform. One of the most effective ways to analyze captured data is through dashboards. This allows the agency to see patterns and leverage the data into actionable improvements that will turn into increased revenue. These improvements can include improving routes with low ridership, adding new devices to expand ridership choices, and reducing maintenance time along with tracking media useable by type and locale. The options are endless. Primeaux: To begin to utilize improved data collection and analysis to leverage new revenue streams, agencies must first make it a priority. Analytics and the field of data science are now foundational to nearly all industries—so much so that data itself has become an important strategic and competitive asset. This data represents a rather rich taxonomy for enabling a variety of revenue opportunities for agencies to improve a rider’s experience. At Vix, our focus on a better customer journey shapes how we support agencies in the areas of analytics. The areas of analytics that are important to us, and thus to our solution, are predictive journey analytics, predictive maintenance analytics, fraud prevention, real-time passenger information, capacity and pricing optimization, customer analytics and loyalty marketing, intelligent transportation system (ITS) optimization and the co-occurrence of information from each of these areas to model how to improve the overall transit experience. Are you really willing to make accessible public transit sustainable for the long term?